Gift Guide Dog to blind man, 1951. Caption slip reads: "Photographer: Emery. Date: 1951-10-03. Reporter: Phister. Assignment: Gift guide dog to blind man. 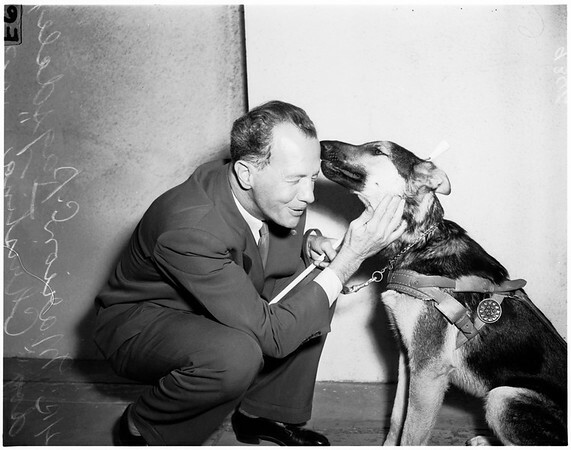 56, 57: Marion C. Ragsdale, blind receives guide dog Christina from O. F. Elliott, trustee of International Guiding Eyes Inc. 6: Ragsdale gets affectional greeting from Christina".